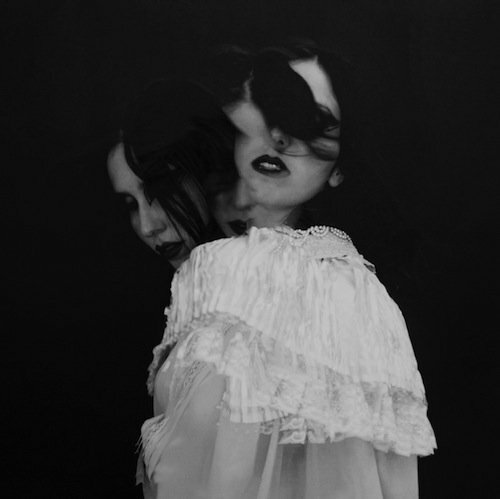 Chelsea Wolfe’s material has always felt intensely private, from the almost voyeuristic bedroom-production aesthetic of her debut album The Grime and the Glow to the stark themes and atmospheres of 2013’s Pain Is Beauty. “Abyss is meant to have the feeling of when you’re dreaming, and you briefly wake up, but then fall back asleep into the same dream, diving quickly into your own subconscious,” says Wolfe. To conjure this in-between world, Wolfe continued her ongoing collaboration with multi-instrumentalist and co-writer Ben Chisholm and drummer Dylan Fujioka, with Ezra Buchla brought on board to play viola and Mike Sullivan (Russian Circles) enlisted to contribute guitar. The ensemble traveled to Dallas, TX to record with producer John Congleton (Swans, St. Vincent). In the back of her mind burned the words of designer Yohji Yamamoto: "Perfection is ugly. Somewhere in the things humans make, I want to see scars, failure, disorder, distortion.” The resulting eleven songs reflect that philosophy as they smolder with human frailty, intimacy, quiet passion, anxiety, and deep longing. Abyss opens with the disorienting lurch of “Carrion Flowers”, where Wolfe weaves a hypnotic vocal melody over monotonic industrial thuds, much as an Indian raga is constructed around a lone note or swara. On “Iron Moon”, the band pushes for extremes in its loud-quiet-loud strategy, alternating between hushed balladry and gargantuan doom. On “Dragged Out”, glacial-paced fuzz riffs underscore Wolfe’s sultry verses, until a howling wail of distortion dominates the chorus. But there are certainly moments when the brutish elements are reigned in—“Maw” could serve as a lullaby and “Crazy Love” harkens back to the humble acoustic compositions of her Unknown Rooms album. But between them we have “After the Fall”, the centerpiece of the album, where the abrupt tonal shifts, descending chord progressions, and climactic vocals illustrate Wolfe’s fascination with Memories, Dreams, Reflections by Carl Jung. “I let myself drop,” begins one of Jung’s recollections of his dreams. “I was so struck by that visual: the drop into the abyss of one’s own mind, allowing yourself to feel things you've hidden away, bringing them front and center. That became the goal of this album,” says Wolfe. That surrender can be heard in the slowly escalating cacophony of “Survive”, the penultimate square-wave hum and yearning of “Color of Blood”, and the clamorous piano loop and disorienting arrangement of the closing title track.